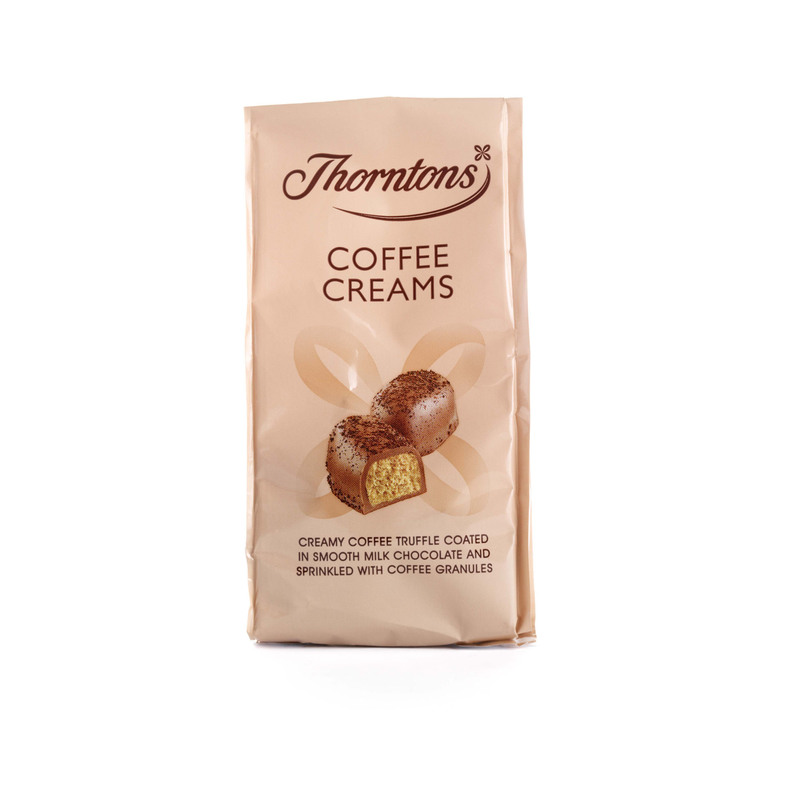 Coffee, cream and chocolate are a terrific trio, and our Thorntons Coffee Creams bring them together with truly tasty results. 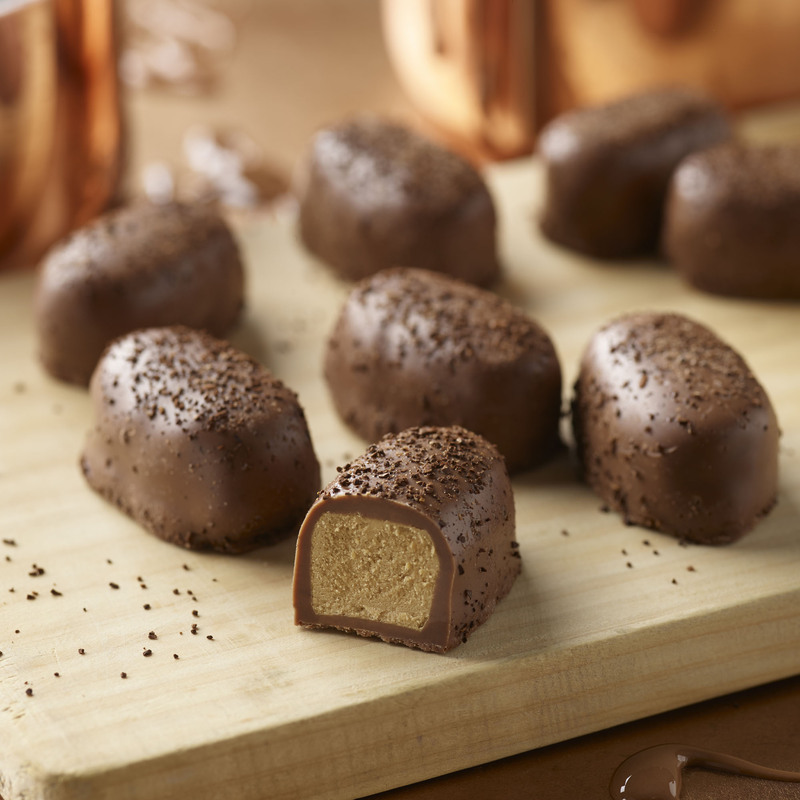 The soft and creamy coffee truffle centre is generously coated in smooth milk chocolate, making a bittersweet treat that melts in the mouth - and a sprinkling of ground coffee granules is the final authentic touch. The perfect choice of chocolate for an extra indulgent coffee break. 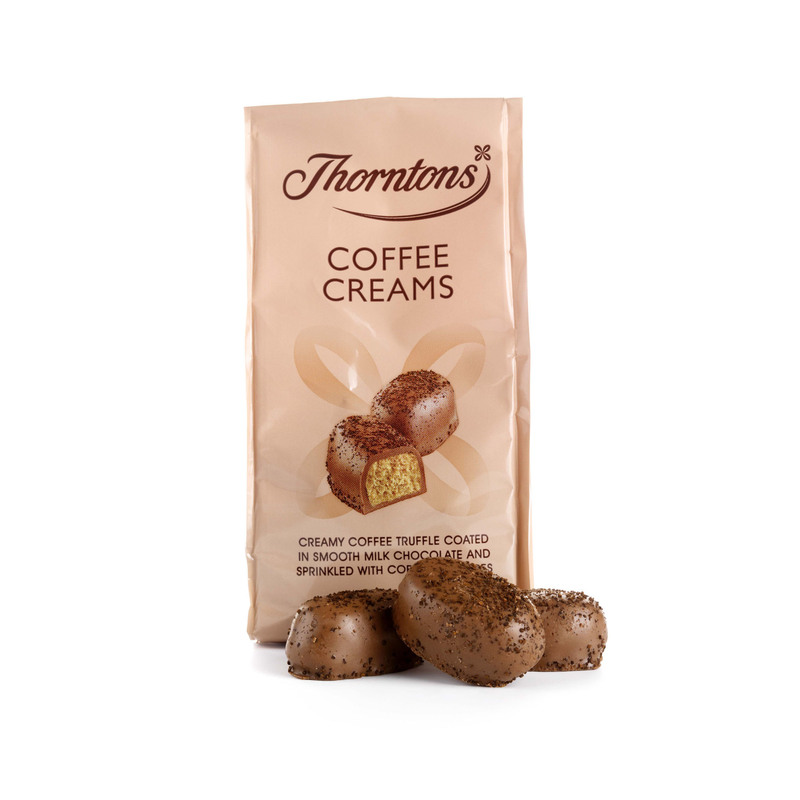 Thorntons Coffee Creams now come in a new look bag as part of the Favourite Flavours collection. Sugar, Double Cream (Milk) (9%), Dried Whole Milk, Cocoa Butter, Cocoa Mass, Glucose Syrup, Palm Kernel Oil, Humectant (Sorbitol), Ground Coffee (1.5%), Freeze-Dried Instant Coffee (1%), Milk Fat, Emulsifier (Soya Lecithin), Flavourings.